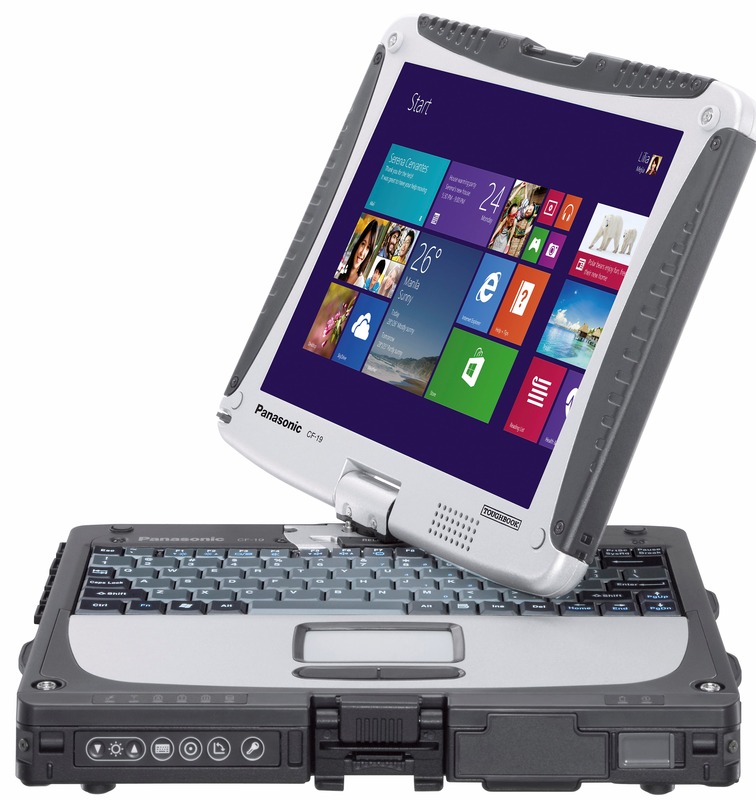 The Panasonic Toughbook 19 has gone through 8 generations of LCD and processor upgrades. All good thing come to an end, the CF-19 has been discontinued and replaced with the Toughbook CF 20 2 in 1 tablet to laptop. Should you have a continuing requirement, we will continue to support the 19 as long as possible. Many of these unit can be professionally rebuilt and re-deployed depending on your requirements and your Toughbook 19 overall condition. The current model CF-19 mk8 operating systems has Windows 7 Pro Embedded Version. You'll need to supply an Enterprise license if you require Windows 7 Pro or Windows 10 Pro. Windows 10 Pro is not directly supported, however, drivers are available and we have deployed the Window 10 Pro operating system with no known issues. We welcome your inquires for New, Recently Discontinued and Refurbished CF-19's. Ask about out RE/Fresh. We can install up to 8GB of memory, add a SSD (Solid State Drive), install Windows 10 Pro 64 bit operating system and a new battery keeping our investment viable, while staying within your current budget. We can also extend your warranty for peace of mind, Conditions apply. LCD 10.4" 10.4" 10.4" 10.4" 10.1" 10.1" 10.1" 10.1"